Volusion is an online platform that was created by a team of Austin-based eCommerce experts. Its main purpose is to help you create and develop an online shop. Volusion is a great option that can help you create beautiful websites, sell your products better and faster by using their powerful tools, and grow your audience in order to reach more customers. A team of experienced people can help you every step of the way so when you join Volusion you don’t just get a website template, you get an entire package and a helping team. One of the main categories of products that Volusion has to offer is their website theme selection. Their themes are crafted by professional designers who are specialized in eCommerce and know very well how a good website should look and feel. Every theme in their inventory is gorgeous, with a clean design, fully responsive, and super easy to customize even if you don’t have any coding knowledge. All these themes are designed to sell more. 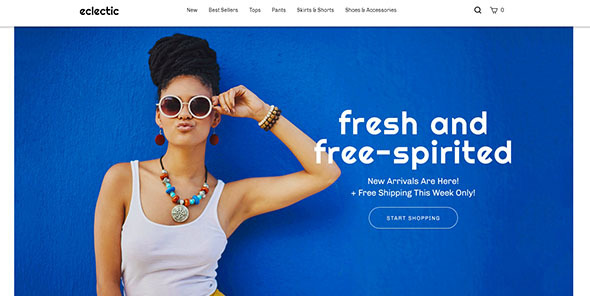 Since Volusion came to life, shoppers spent more than $28 billion on this platform and placed over 185 million orders for their eCommerce themes. This proves that a lot of people trusts this platform and the services it provides. More than 180,000 entrepreneurs are using Volusion as we speak for tons of different purposes and online shops such as fashion, handmade objects, furniture, shoes and more! All of them have created successful online stores that have both a beautiful aspect and full functionality. Volusion gives you the option to create responsive themes by using their comprehensive site builder that can help you have a unique online store. You don’t need to be an expert in coding because customizing these templates is as easy as drag and drop! Volusion themes come packed with tons of powerful eCommerce features that will offer you everything you need, including inventory management, payment collection, unlimited product options, contact forms and lots of other tools. The technology partners that Volusion works with have created powerful apps and integrations that you can use to easily add advanced functionality to your site with no stress or effort. We recommend this platform if you want to easily market your business and reach more customers in order to grow your sales. Some of the tools included are a built-in SEO management, newsletters and a CRM system. If you want to try Volusion out, you should know that it comes with a free trial for 14 days. If you’re not sure this platform is perfect for you, then you can try it for free and pick a free theme that you can customize and see if it fits your needs and desires. This is where we come in: we gathered here 10 examples of completely free Volusion templates that are as good as their other premium ones. All of these themes come with incredibly modern and clean designs and full responsiveness on any device so you can easily create an eCommerce website and a marketing hub, all in one. ‘Boost’ is a Volusion template that features a full-width slideshow, clean lines, and a sticky header – all great features that will come in handy when designing your beautiful and unique website. This template is free to use and it will give you the option to create unforgettable scrolling experiences for your users and future clients. ‘Boost’ comes packed with a clean design where a bold black frame meets a spacious, simple white background. The effect created by this design is full of potential and in line with the latest web trends out there. This theme is so flexible and versatile that is perfect for any kinds of eCommerce websites you may want to create, from product-related to personal services, fashion, shoes etc. As the name may suggest, ‘Boost’ is a great option if you want to boost your brand image. ‘Credo’ is a super minimalist theme with a modern look combined with rustic details. We strongly recommend it for cool brands that are looking to create powerful platforms and to establish a strong online presence. This theme comes with a clean, white background accompanied by black highlights. This elegant design is so simple yet effective that your visitors and clients won’t forget your website. One of the most beautiful aspects of this theme are the earthy, Tuscan-colored highlights that will offer your website a rustic feel, perfect for creative makers or entrepreneurs. We strongly recommend this template for furniture stores, coffee shops, craft shops, or any brand that cares about contemporary trends and functionality too. Craft is a really gorgeous template that combines both new and useful features with a simple and minimalist design in order to achieve the best results ever. ‘Craft’ has a very clean but sophisticated-looking design that is very content-oriented and it will draw attention to your texts, presentations, and images. This theme comes packed with a full-width slideshow that can become the perfect tool that will help you present your most important aspects and offers to your visitors and future clients. ‘Craft’ also gives you a minimalist logo space so you can easily introduce your brand or yourself in a very professional way, even though this is a completely free theme that you can use for your personal or commercial projects. The flare color accents of this theme can fusion into a nice color palette that will enhance your brand’s identity and mood. 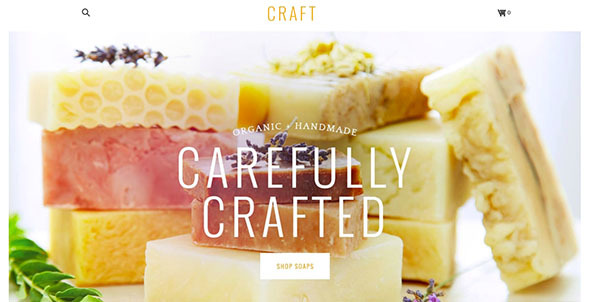 Eclectic is a perfect choice if you’re planning to design a very cool website for an online store. This theme has a super fresh and exciting look to it that will become unforgettable for your users. ‘Eclectic’ comes packed with a bold hero graphics section that’s both eye-catching and effective. Another great feature of ‘Eclectic’ are the well-thought spaces dedicated to presenting your features products. By using these already-made features, you can make sure your store will easily draw the attention of your viewers. This template also comes with gorgeous typography choices and a funky font, marigold highlights and more! The static navigation is another helpful and great thing about ‘Eclectic’ template, which we recommend for any kind of project. Best part? It’s completely free to use! As the name already says it, ‘Minimal’ is a template that has a super clean and simple layout. This template is perfect if you’re looking to create a website that comes packed with a crisp, straightforward home-page layout that you can easily customize to fulfill your needs and desires. ‘Minimal’ is very content-oriented and it was engineered to remove distractions from everything but your product line. Another great feature is the auto-collapsing menu drawer that keeps your categories hidden until they’re needed. This preserves a clean and well-organized look for your website. ‘Minimal’ offers a great browsing experience for your users and clients and an easy to follow check-out process that’s fast and fail-proof. Here we have another great example of a Volusion theme that’s completely free to use for any project or idea you may have in mind. ‘Mission’ is a fully responsive theme with a simple yet effective design. This template has a bold and powerful look and it combines true black with a subtle shade of charcoal that gives great depth to your web design. These bold color choices will make sure that your users will remember your website for a long time. The contrasting white font will emphasize your texts and presentations and will help you tell everything you want about your products in a way that’s both beautiful and effective. This template has a strong focus on showcasing products and services in the best way possible. The homepage has a stunning look and it focuses on your features products so your visitors won’t miss a thing. ‘Mission’ offers you plenty of opportunities to help your products stand out from the crowd with no costs at all! Vibes is a refreshing theme that has a new take on an old classic. This template has a super clean and minimalistic look that makes it so versatile that it can be used for a very wide range of projects and purposes. ‘Vibes’ template is fully responsive and it will adapt beautifully to any mobile or tablet device, all major browsers and any screen size you may think of. We recommend using this theme is you want to create a powerful website that will provide unique scrolling experiences for your visitors and future clients. This template comes with a very nice and uncluttered homepage that is both eye-catching and effective. This way, users will have their focus on your content and images. ‘Vibes’ is one of the best choices for a free template that looks super professional and modern. We strongly recommend using this freebie to anyone that has a brand and is looking to create a powerful online presence. Even though you are free to use this theme for any personal or commercial project free of charge, it comes packed with a fully professional look and feel that’s perfect for lots of purposes. This fully responsive theme features strong, clean lines and well-organized design elements that will help you enhance your brand’s image in a very professional way. One of its best features is the left navigation menu that’s ideal for websites with a large number of categories. This way you can keep your websites’ aspect neat and organized. ‘Warehouse’ also comes with a large header image area that will make a great impact on anyone that will access your website. You can use this theme if you want to put your products in the spotlight and find new online customers. Here we have Vitality, a fully responsive theme that has a refreshing look. 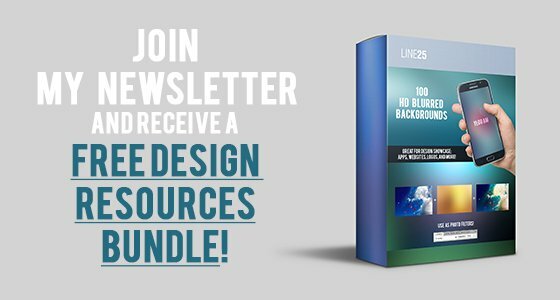 This template features a wide image header that can be easily customized to fit your needs and desires and to promote the most important information and images to you. One great feature that this template has is the mobile-friendly top navigation bar that looks and works perfect on any device and screen size and it offers great navigation experience even to mobile users. With story dividers complementing the bold footer and top navigation bar, you can rest assured that your store will have a unique and effective website that will draw your customer’s attention. We recommend ‘Vitality’ if you want to enhance your brand’s image with no costs, because it’s a completely free to use template! The large homepage images are so elegant that your websites’ visitors will never want to leave your shop again! 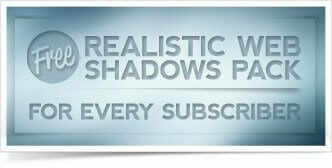 ‘Details’ is a sophisticated yet simple-looking Volusion template that has a very polished and well-organized look. ‘Details’ has a well-thought design that will impress old clients and attract new ones instantly. 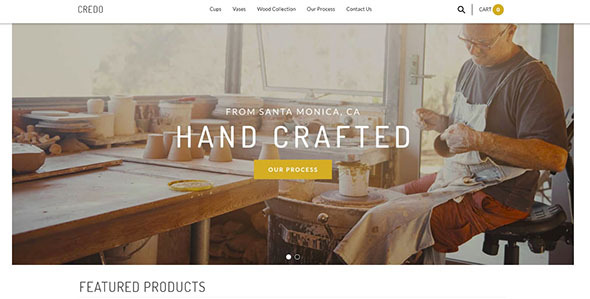 This template offers a clean, airy navigation that we think is a must-have for any website. The full-width slideshow can become a very useful tool that you can use to showcase your products front and center and offer all the information your customers may need. The nice, soft, color palette completes this delightful design and will help you create a modern and timeless website for your business. After you’ll start customizing this template, you won’t believe it’s completely free to use in any way you want! I use the monstroid2 template. It is very cool and i have also a gpl licence. Also i think i ll buy mission template because this month i have to do a website for a paintball company.